Students are resurrecting “Corks & Curls,” reviving the artifact of a physical book as a record of UVA history in a digital age. Yearbook alumni are providing the seed capital for the venture. 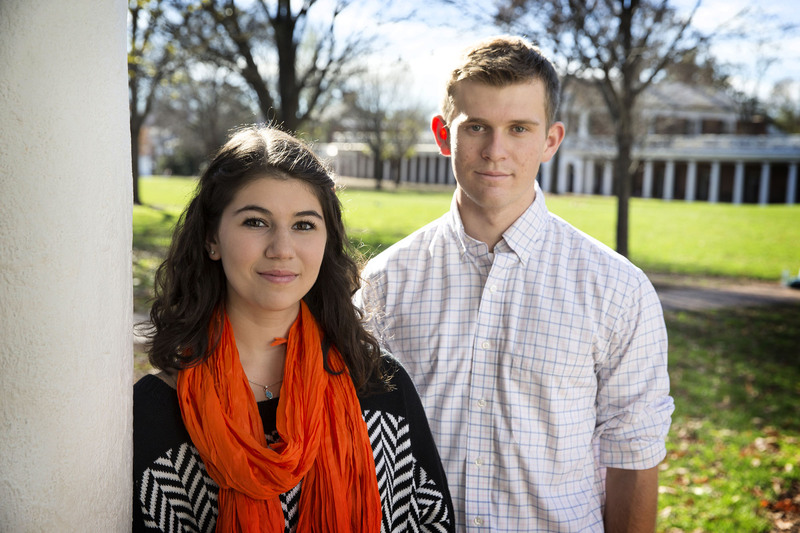 University of Virginia students have revived a longstanding, but recently discontinued, tradition: the Corks & Curls yearbook. For those raised strictly in the digital age, yearbooks capture memories, in words and photographs, between hard covers. First started in 1888 by representatives of each of 14 fraternities then on Grounds, Corks & Curls continued until 2008, when it fell victim to rising costs, dropping sales and an apparent declining interest, thanks to the digital age. But last year, student editors Carly Buckholz and Michael Buhl, and a staff of 17, stepped up and published a 2014-15 edition of Corks & Curls, which is being delivered to pre-purchasers this fall. By delaying delivery, yearbook editors were able to include graduation and late-season sports information in the tome. The book is broken into “Autumn,” “Winter” and “Spring” sections, with stories about the Rotunda renovation, a cappella singing groups and days in the lives of engineering students and Cavalier Daily editors. There is a memoriam for Hannah Graham, a student slain in fall of 2014; a remembrance of the Take Back the Night event; and coverage of a student rally. There are statements from organizations such as the 7 Society and the 13 Society and athletic team recaps. One thing that has not changed has been the name, which is also a UVA tradition. “The name is derived from University slang at the time of its origin: to ‘curl’ an exam meant doing well, to ‘cork’ an exam meant failing,” University historian Alexander “Sandy” Gilliam said. Faulders said Corks & Curls alumni raised $20,000 for seed money for the operation and came up with another $5,000 in equipment, but he credits the students with having the idea, the drive and the enthusiasm to carry it through. Buhl, a systems engineering and economics double major from Belvedere, California, was already active in University life when he took on this challenge. Buhl also was inspired by his mother, Lilian Shackelford Murray, a 1980 McIntire School of Commerce graduate who still has her yearbook and revisits it with her son. “I went home and looked at her book to get some ideas,” Buhl said. Buhl said the stories that the students told, their descriptions of their lives and their year at UVA breathed life into the project and connected events within the book. There was a two-page feature on the Lighting of the Lawn, and elsewhere in the book a first-person account from a Lawn resident whose boyfriend proposed to her at the Lighting of the Lawn ceremony. Buhl – now a fourth-year student – has stayed on the yearbook staff, working on marketing the book. He said it was hard to sell last year, because there had been a break in the tradition and students were not familiar with the yearbook. This year’s edition should be easier to market, he said, because he has an edition he can show his prospective customers. Fourth-year student Marnie Kremer, the current editor in charge of a roughly 30-member staff, stresses the permanence of the book in her sales pitches. The Internet was often blamed for Corks & Curls’ 2008 demise. The current generation, observers suggested, had moved more online and away from books as artifacts. The 2014-15 book includes 110 fourth-year student portraits in a separate section, and Kremer said she wants more for the next edition. “We want as many students as possible in the book,” she said. She said the design and photography is modern, with features-driven content that carries something for everyone and contains many student submissions. The press run for the 2014-15, 244-page yearbook was 510. Editors presold 464 copies, and Buhl said they have just about sold the remainder. Kremer is aiming to sell around 750 copies of this year’s book at $80 apiece (or $85 with purchasers’ names engraved on the cover). Faulders estimated 1,500 to 2,000 copies would be strong sales of a yearbook for an undergraduate graduating class of some 3,800. Local historian and UVA alum Coy Barefoot is organizing a virtual museum celebrating all things UVA, from a complete collection of digitized yearbooks to hundreds of Ed Roseberry’s historic photos. U.Va.’s Big Data initiative and Saturday’s Stan Winston Festival of the Moving Creature are among the 16 projects receiving grants from the U.Va. Alumni Association’s Jefferson Trust this Friday. Since 2004, the trust has awarded nearly $3.5 million. May 14, 2008 — Thomas Jefferson's original plan for the University of Virginia did not provide for a commencement ceremony, or even degrees and diplomas — though early students petitioned the Board of Visitors for diplomas, at least in part to improve their opportunities for employment. The board took no action until 15 months after Jefferson's death, directing in October 1827 that plans for the first "Public Day" be made.